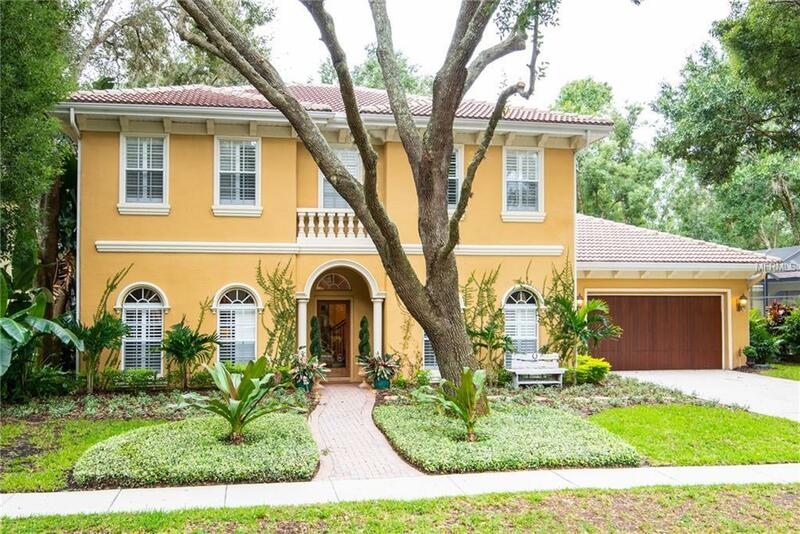 Located in the highly desirable New Floresta gated community.This custom 4,151 sq/ft Mediterranean home has been meticulously maintained and features 5-bedrooms, 4.5-baths, a one of a kind eat-in kitchen with custom cabinetry, granite counters, and gas cooking top. Two walk in closets for the master bedroom, a walk-in attic space, and a oversized garage will provide more than enough storage space for you and your family. This home is also equipped with a downstairs master bedroom, three bed rooms upstairs with two baths, a powder bath, office, and bonus room currently being used as a Billiards room.The home is nestled on a 13,000+ sq/ft. lot with a spacious backyard that is perfect for activities, entertaining friends & family, and whatever else your heart desires. The screened patio has a covered sitting area with a large salt-water pool and raised spa. New Floresta is a quiet and clean community that is located within minutes of wonderful restaurants, entertainment, shopping, hospitals, and major highways. Please call today for a private showing.